Contributor and drone pilot Habazaje created this memorable aerial tour of the beaches of Cyprus an island in the eastern Mediterranean Sea. The video includes footage of the areas Paphos, Ayia Napa, Nissi Beach, Fig Tree Beach, Blue Lagoon, and Coral Bay. The views of the crystal blue waters will help you understand why Cyprus has become a popular beach destination for travelers all over Europe. 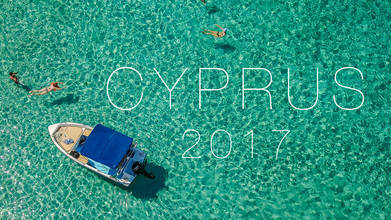 Description: Video shoot in Cyprus in Paphos, Ayia Napa, Nissi Beach , Fig Tree Beach, Blue Lagoon,Coral Bay.